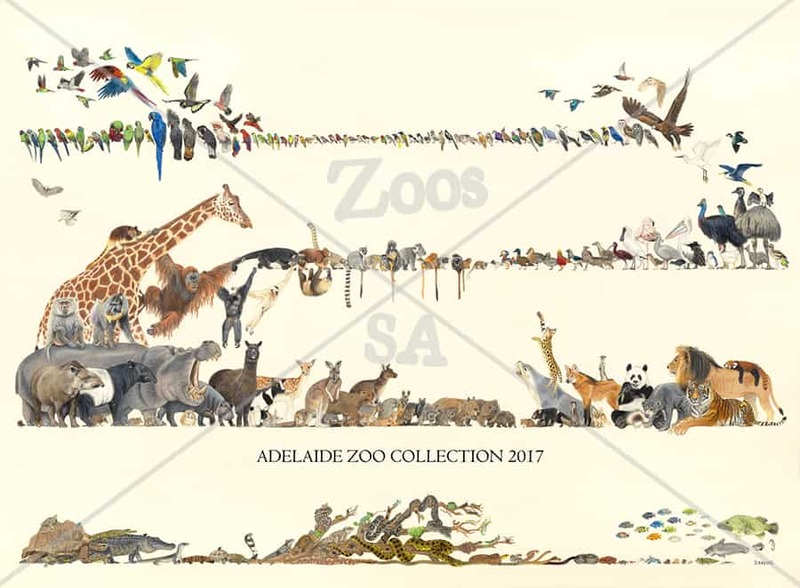 This amazing illustration of Adelaide Zoo’s 280 species drawn to scale was produced by Zoos South Australia’s Dr Jerome Kalvas using watercolour Pencils and the illustration took 1 month to design and 2 months to draw. 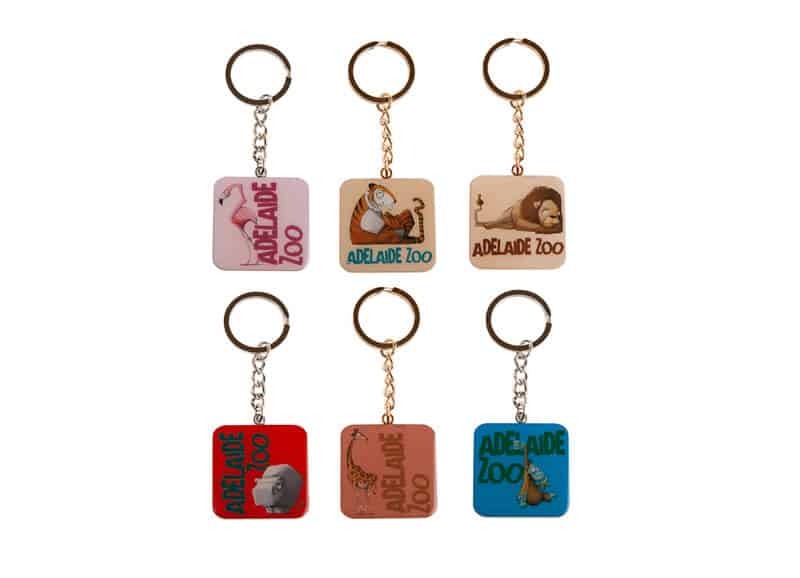 These Limited edition prints capture a moment in time of the ever changing Adelaide Zoo Collection and are created on the finest quality German etching paper. These prints are designed to fit an A2 size frame and are provided in an invisible plastic sleeve with an acid free cardboard backing. 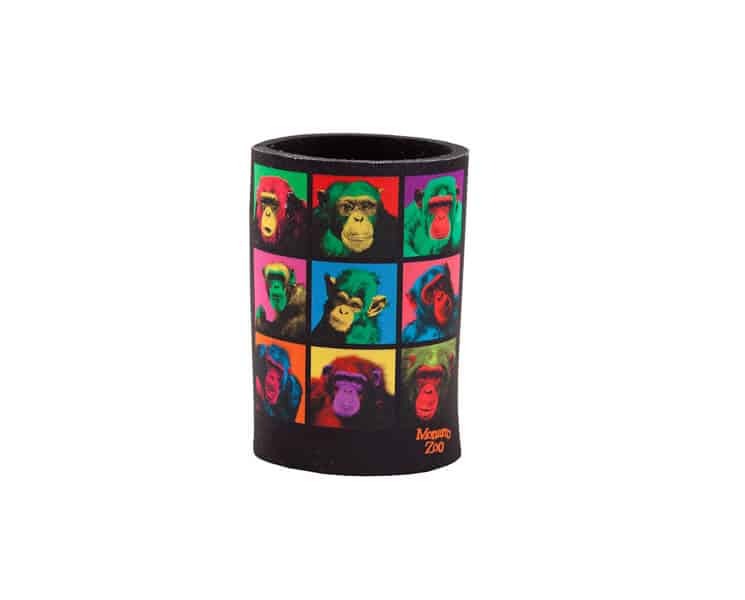 100% of the Zoos South Australia profits go directly to our zoo operational costs and conservation projects, and 10% of the artist’s profits go towards our zoo conservation projects. This amazing illustration of Adelaide Zoo’s 280 species drawn to scale was produced by Zoos South Australia’s Dr Jerome Kalvas using watercolour Pencils, the illustration took 1 month to design and 2 months to draw.